You can still stream video of some of the sessions through our video archive. Photos of the conference are available at our Facebook group (tag yourself!) and in this gallery. There is a story in the Uppsala newspaper about the Hackathon (in Swedish). Here's a link from Åsa, explaining the master suppression techniques mentioned in her keynote. 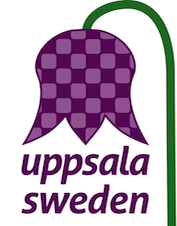 Following the success of the inaugural womENcourage 2014 in Manchester, UK, womENcourage 2015 was held at Uppsala University, Sweden. Thanks to all the participants, speakers, and supporters who helped to make this year's womENcourage another tremendous success! or, peruse the conference photo gallery. The ACM-W Europe womENcourage Celebration of Women in Computing is a scientific event, and also an event aimed at networking and exploring career opportunities for women in computer science and related disciplines. This conference brings together undergraduate, Masters, and PhD students, as well as researchers and professionals, to present and share their achievements and experience in computer science. The program includes technical presentations and also discussions related to career issues in academic and industrial research. Participation in womENcourage 2015 was subject to the conference's Code of Conduct. Looking for previous events? • Copyright © 2014 ACM, Inc.